In an industry made up of largely middle-class, middle-aged white men with a typically conservative bent and equally conservative, yet predictable look—khaki pants or jeans and flannel, Oxford or golf shirts depending on the weather or setting—Duck Commander Phil Robertson and his Duckmen really stand out. With long, wild hair and even more amazingly ZZ Top-like beards, these boys make the Geico cavemen look like clerks at a Birkenstock's Outlet. Put them behind the business end of a shotgun in their beloved Louisiana swamps and they bring duck hunting action to DVD like nobody else. It's this look of untamed wildness that has made Duck Commander one of the most recognized brands in waterfowling. And if Willie Robertson has his way, it may soon be one of the most recognized looks in all of hunting. 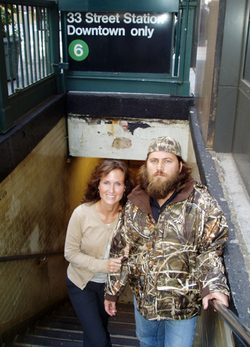 Willie, a Duckman and son of the elder Robertson who founded Duck Commander in 1973, was in New York City last week with his lovely wife Korie to share the secret behind the beards and to tout his latest venture, Buck Commander. Sitting in one of OL's cramped offices, I couldn't help but ask, "Okay, what's with the beards and how long does it take to grow them?" Just in time for fall turkey seasons, Outdoor Life contributor Steve Hickoff's new book Fall & Winter Turkey Hunter's Handbook hits the store shelves. While there are any number of ancient texts on the art of fall turkey hunting and plenty of modern books that touch on the subjects, Hickoff's latest offering is unique in that the entire book focuses on the autumn pursuit of the wild turkey. For all of the hoopla in this country over the past two decades surrounding spring gobbler hunting, fall turkeys are perhaps one of the most under-utilized hunting resourses in the forest. Naturally most hunters are focused on deer at this time of year, as is yours truly, but if you love to hunt birds and aren't setting aside at least a few days to take the shotgun and calls afield, then you're really missing out. 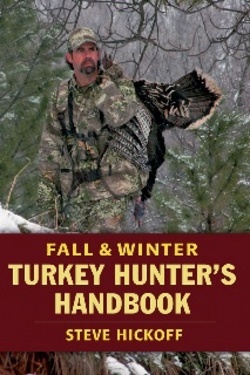 Turkey Hunter's Handbook, published by Stackpole Books, boasts 240 pages of great color photography and sound advice on everything from tactics, gear, scouting and safety to turkey doggin', land access and flock composition and biology at this time of the year. It's a great read whether you are an avid fall hunter or just hoping to fill an extra feathered tag or two. For an autographed copy, send a check for $26.95 (that price includes postage and handling) to Steve Hickoff, 97 Old Dennett Road, Kittery, ME 03904. You may also be able to catch Hickoff through his blog should you have questions before you order. The best thing about my job is that I get to play around with a lot of cool, new gear before it ever really hits the market. 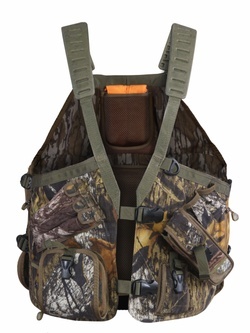 While working on the new turkey gear section for OL's March issue this past winter, one of the things I probably liked the most was Mossy Oak Apparel's Dixon Limited Edition Turkey Vest. Yeah, you don't usually hear the words limited-edition and turkey vest combined, but this thing is pretty sweet. The first one was auctioned off during SHOT Show in Orlando and brought $5,000!!!! I hear the NWTF bought it to place in their museum. 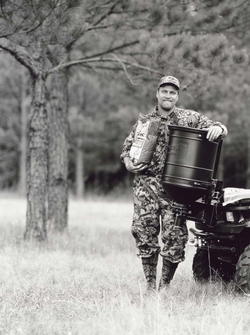 Created in honor of the late Bob Dixon, a longtime member of Mossy Oak's executive team until losing his battle with cancer in 2003, only 1,986 vests are being made—in honor of the year Mossy Oak camo was founded. The first 100 numbered vests are being filled with turkey calls from companies like Cody Calls, Drury Outdoors, Knight & Hale, Lynch, Pittman Game Calls, Primos and Woodhaven. Other accessories will be included from Carry-Lite Decoys, Nikon and Therma-Cell. The first 100 vests are being sold through auctions to raise money for the Dr. Arnold S. Leonard Cancer Research Fund. The rest of the vests will be sold at "key retail partners throughout the country" Mossy Oak Apparel reports, with a percentage of the sale price also going to the ASL Cancer Research Fund. As soon as I find out where some of these key retail outlets will be, I'll let you know. Oh, and the retail vests won't include the full outfit of calls bringing their suggested retail price to a much more reasonable ballpark of $159. But don't just buy one of these vests for the reason that the cause you'll be supporting is a vital one, buy it because it is one awesome damn vest. Here's what I said about it in OL: "Claw rubberized gun sling-style straps hold the vest over the shoulders. Ten external front pockets house everything from box calls to strikers, including a patent-pending striker conditioner pocket. There are also an internal box call pocket, shell loops and five accessory pockets. Generous back padding aids comfort as does the 3-inch thick seat cushion held in place by silent magnetic closures." In addition, the neoprene striker pockets hold your strikers perfectly. There are also decoy stake pockets on the rear of the vest. The roomy game back can be zipped flat when not in use or opened up for toting a bird or gear. The inside of the vest is lined with Mossy Oak's first pattern, Bottomland, while the outside is the company's renowned Break-Up. Last year, Carry-Lite Decoys introduced the Pretty Boy gobbler decoy, which pretty much took the turkey woods by storm last year. Primos pro-staffer Tommy Barham and I used one in the opening days of Virginia's turkey season and pretty much crushed some birds using the deke. On the second day of the season, with the fake gobbler set in a field about 15 yards away from where we hid in the woods, we pulled a longbeard into the open ground with some yelps. The gobbler strolled out about 200 yards away, spotted the Pretty Boy and came sprinting into what would be his last face-off with a challenger. Tommy dumped the bird with a 20 gauge seconds later. "I couldn't take it anymore," he laughed. His nerves jangled from the close—and quick—encounter. The hunt had been textbook. The Primos B-Mobile packs tighter than the Pretty Boy, looks real, sets up quickly and features a fold-up silk fan that reflects sun and responds to breezes like a turkey’s real tail feathers do. If you would prefer to go with a real tailfan from a bird you've taken, the B-Mobile comes with a flexible base where feathers can be easily inserted. Best of all, the price point for the decoy cruises in below the $100-mark with a suggested retail value of $80. That's sure to catch a bunch of value-conscious hunters's attention. 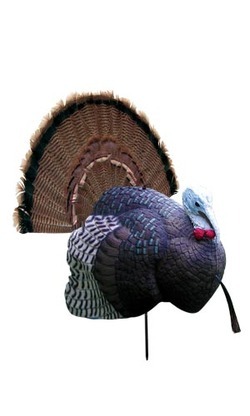 Regardless of whether you go with the Pretty Boy or the B-Mobile or some of the other fake gobblers out there, pick one that looks real to you. It will make a difference in your hunting. I promise! Kicking off my summer vacation right, I took my 6-year-old daughter fishing this past Saturday where we caught a nice mix of bluegills, bass and catfish. While I tossed mine back, she was eager to cook up a few of her prize catches, so once home, it became my task in the rising heat to clean the fish on her stringer. 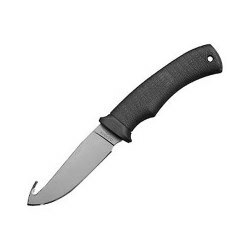 I got to work with a Gerber knife that I keep in my tackle box, but soon had a problem—I was thirsty. I grabbed a cold one from the fridge in my father-in-law's guest room and quickly realized that I now had another problem, nothing to open it with. It wasn't a twist off. All I can say, is thank goodness for a gut hook. Glancing around the garage where I was doing the cleaning, I noted how the gut hook on the knife was shaped a lot like a bottle opener. With a quick tug at the cap, I was soon being refreshed and back on task. It made opening the bottle much easier than using a seat belt. Just thought I'd share that quick tip with you in case you ever find yourself in need of a make-shift bottle opener. Remember though, just make sure your opening that cold one up "after" the hunt if that is the case or after you are done powering the boat around the lake. Whether you are still hitting the woods for a little hunting or your outdoor activities have turned to fishing and family time outdoors, warmer weather means more insects. Nothing can ruin a day outside faster than a swarm of biting, buzzing bugs, but since discovering ThermaCell a couple of years ago, it has become one of my must-have products for my turkey vest. Check out this short video we shot about how ThermaCell works while hunting in Florida this spring (Download doug_thermacell.mp4 ). This really is the best thing since sliced bread, though as you will see in the clip, it is a lot easier for me to write it than it was for me to say it!